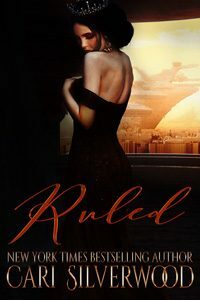 As the daughter of the founder and leader of The Ridge, one of the most successful settlements since the collapse which brought down the civilized world, twenty-one-year-old Olivia VanWyck is used to living by her own set of rules. 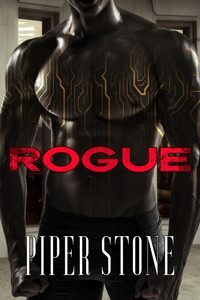 But when fever strikes her community while she is away on an unauthorized scouting expedition, Olivia ends up trapped outside the walls of The Ridge. With nowhere else to go, she finds herself under the care and protection of a traveling trader by the name of Token. As Olivia and Token seek out shelter in this harsh world, the feisty young woman soon learns that he will tolerate no defiance during their journey and that disobedience will earn her a sound spanking. But as her feelings for Token grow and evolve from grudging respect to romance, she wonders if he could ever settle down in a place like The Ridge, and even if he did, would she be happy as the wife of a rough, firm-handed explorer? 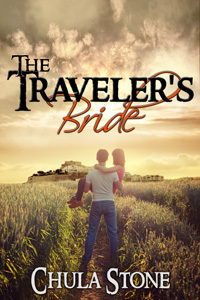 Publisher’s Note: The Traveler’s Bride is the sequel to The Orphan Bride. 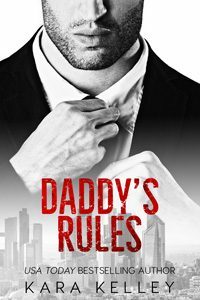 It contains spankings of an adult woman, including domestic discipline. If such material offends you, please don’t buy this book. “Toke, please!” The embarrassment and frustration aside, his repeated swats to one spot on her backside were beginning to take their toll. The pain was growing to the unbearable point. 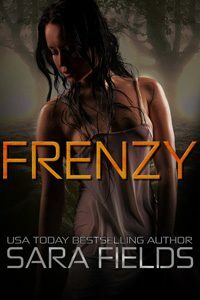 She tried harder to get away, but his grip only tightened around her wrist as he kept going. She got up on her knees, resisting the overwhelming urge to bolt for the door. She knew from experience with him that she wouldn’t get far anyway. She unbuttoned her jeans and peeled them down to her knees, not knowing what else to do or where to look. He was as good as his word. He whacked away at her backside, taking his time and making a thorough job of it. The heat built until she could endure it no more, but on he went. She was sure her skin must be bright red, but just when she was sure he would stop, he began spanking farther down to her upper thighs. He popped first one leg, then the other with sharp, stinging flicks of his palm. She was grateful for the let up and took the chance to rub her backside while she turned her face to the corner. It was just too awful to have to wait for him to tell her what to do next, but she suspected he would not be pleased if she moved, so she fought her impulses and stayed still. She knew from her friends’ experiences that he couldn’t get much of a swing if she were over his legs, so she laid herself down before he could change his mind. Twenty? With that belt? Ten would be bad enough. She felt his motion as he drew back the belt, but was still surprised when it popped down on her backside. The pain that followed had her kicking her feet. It hurt much worse than any of the other times he had spanked her. When he let the belt whistle down onto her backside for the second and third strokes he placed them in the same spot making the heat rise to unbearable levels. And then it was over. She was in his arms, sobbing out her regret and relief. She had let him down, but he wasn’t turning from her. He was holding her and telling her how much he loved her. This was a man to rely on, a man who would always be there for her, no matter what she might do. 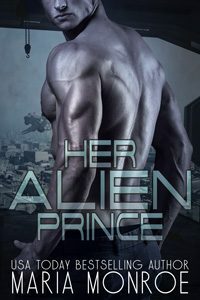 She clung to him with one arm and rubbed her backside with the other. When he held her close, the rush of love that washed through her demanded expression. She looked up and kissed him, hoping he would understand. From his reaction, she guessed that he did. Next: Alice and the Colonel Makes an Amazon Top 100!